Ar Lá Fhéile Bríde, guímid Earrach iontach oraibh uile. As we welcome Spring, we would like to wish all our families good health and happiness for 2018. 2017 brought many changes to An Mhodhscoil. Construction of our much anticipated eight new classrooms commenced and we eagerly await their completion in the coming months. D’éirigh Múinteoir Judith as obair i Mí Iúil. Chaith Judith cúig bliana ag obair linn anseo agus ba mhúinteoir den scoth í a spreag na páistí lena buanna uile. Guímid gach rath ar Judith sa todhchaí. A whole school evaluation took place in the school in November. The cigirí were well pleased with all they saw. Mhol siad na daltaí agus na múinteoirí as an obair iontach atá ar siúl sa Mhodhscoil. D’éirigh Mac Uí Mhurchú as obair mar Phríomhoide sa Mhodhscoil um Nollaig. Chaith Diarmuid cúig bliana is fiche anseo agus stiúraigh sé an-chuid dul chun cinn sa scoil le linn a ré fada. Guímid gach beannacht ar Dhiarmuid sna blianta atá le teacht. 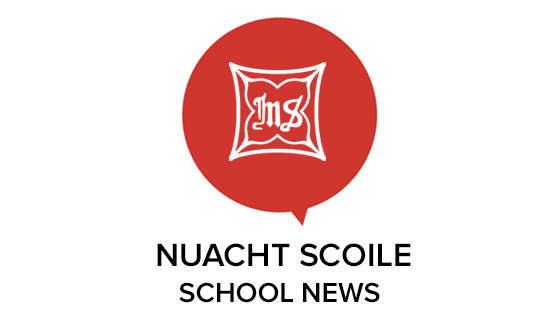 A new principal has yet to be appointed at An Mhodhscoil. Faoi láthair tá Bean Uí Mhaoláin ag obair mar Phríomhoide Gníomhach agus Bean MhicConmara is serving as Acting Deputy Principal. In January, Aldi filmed their new advertisement at our school. It features Paul O’ Connell returning to his own Primary school as well as many young stars from Seomra 17. Bígí ag faire amach don ad ar TV3.Comhghairdeas le gach duine a ghlac páirt ann. In light of the recent media focus on children and social media, we wish to remind you all of our school policy on phones. Pupils may not have their phones switched on at school. Go raibh míle maith agaibh as bhur dtacaíocht don pholasaí tábhachtach seo. We thank you for your continued support for the work of An Mhodhscoil. Gabhaimid buíochas libh uile as bhur dtacaíocht d’obair na scoile. Ar deireadh guímid gach rath oraibh “anois teacht an Earraigh”.